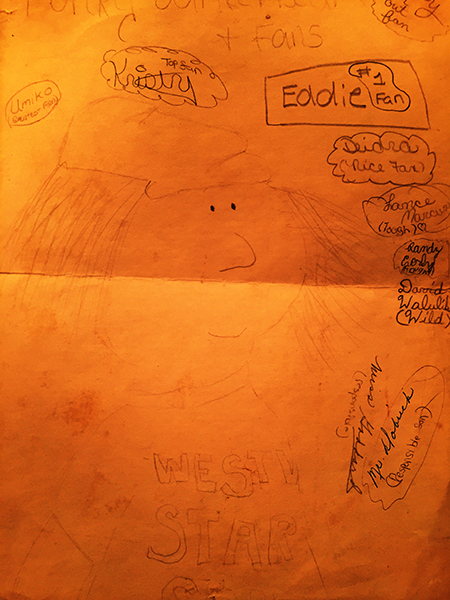 While signing books at Ohioanna last Saturday, a woman came up and proffered an aging piece of manila paper which turned out to be the charter of sorts of a Funky Winkerbean fan club from 1985. The woman was the founder, president, recruiter and basically chief everything of this fine organization. I’d like to publicly thank her for not only hanging onto this piece of Funky history, but also for her kindness in bringing it to the event to show me. It was very cool and the kind of thing that’s makes going to these book signing events so enjoyable. That’s definitely one for the books. The lead story in this issue, The Man Who Mastered Absolute Zero, opens in the computer lab at Central City University with scientists puzzled as to why their new super computer keeps spitting out wrong answers. The Flash and the Elongated Man have been enlisted to help find the problem. They can’t. Mainly because this was a set-up for the rest of the story. 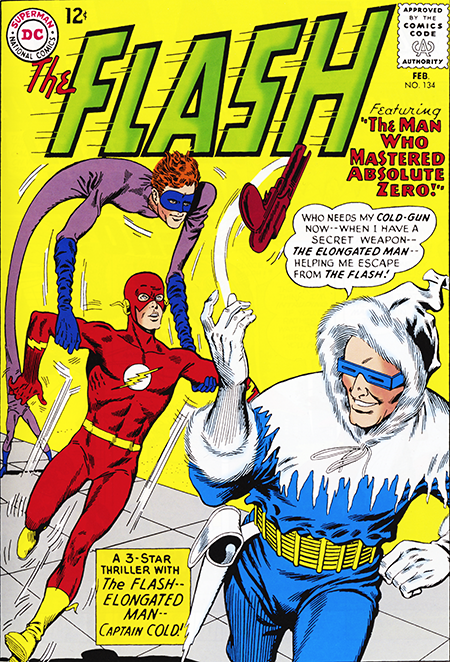 Which is about the Flash and the Elongated Man battling wits with Captain Cold the remaining outlier from a mass prison escape. Each time as the stalwart superheroes are about to nab CC, the Elongated Man prevents it from happening. Only after CC is captured do they realize that perhaps something that the Flash spotted when he was checking out the super computer was responsible not only for the computer’s problems, but for EM’s problem as well. Lo and behold, a bank of tubes in the computer was giving off a strange radiation that messed with the computer, and, due to the molecules of his body being stretched, EM as well. Happy ending all the way around. The second tale in the book again held more interest for me. We’re introduced to Professor West, Iris’s father who is the quintessential absent minded professor. Professor West is interested in what Barry’s intentions are concerning Iris (weren’t we all) creating a bit of a kerfuffle in Barry’s head. To compound matters, the professor and Barry are kidnapped by a gang of crooks who need the prof’s expertise to make their nuclear-ray projector work. Barry is knocked out and when he comes to he’s locked up in a dark room with the Professor. He changes into the Flash to pursue and capture the bad guys, but when he returns to free the Professor, he’s worried that he’s blown his secret identity. However, it turns out that the absent-minded professor is also the near-sighted professor, and, in the dark, he never saw a thing. 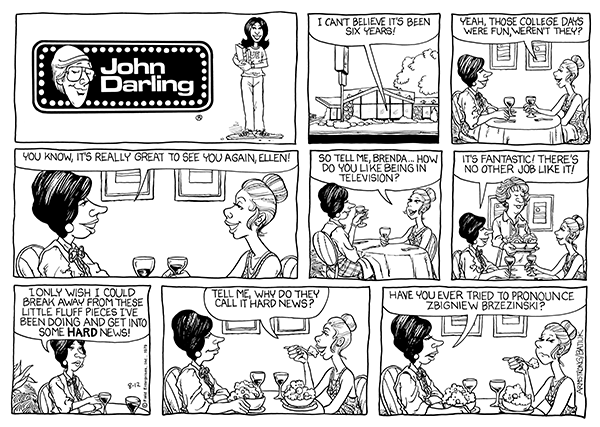 The story ends with Iris, her father and Barry going out to dinner together as Iris explains that she and Barry are only friends. Let’s at least hope friends with benefits.